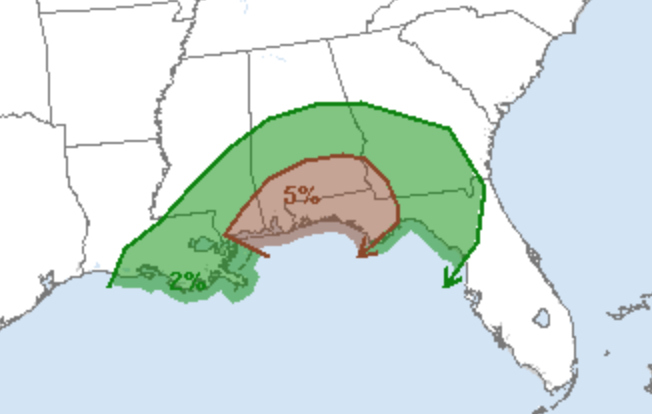 To my many friends in the Southeast, "heads up" if you live in the brown area. Tornadoes possible. Please keep up with local weather information.